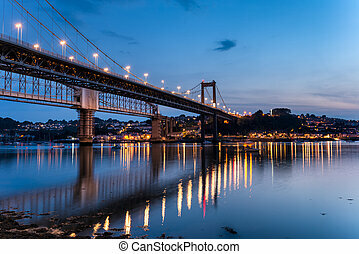 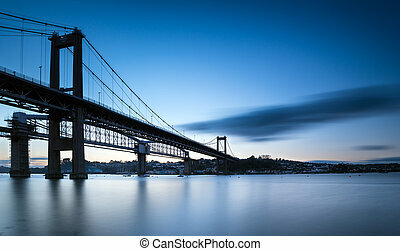 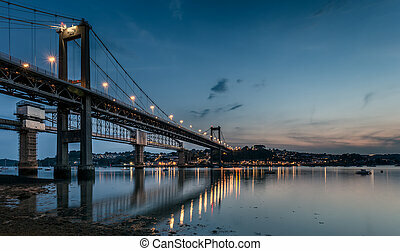 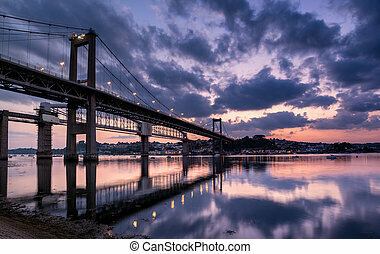 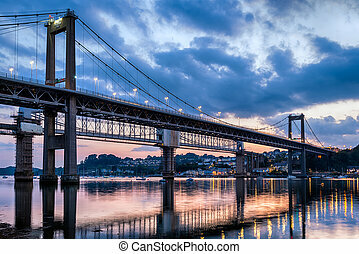 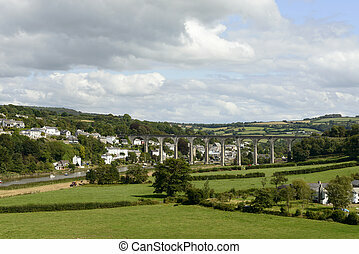 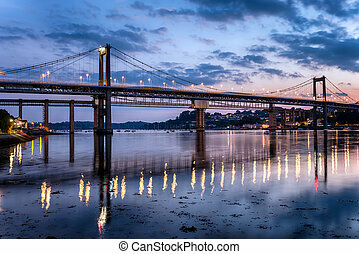 Tamar bridges at night saltash cornwall. 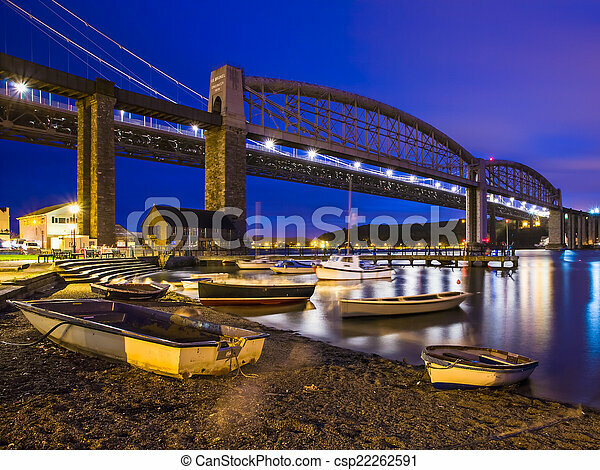 The road and rail bridges over the river tamar at night with plymouth in devon on the far side of the river photographed at saltash cornwall. 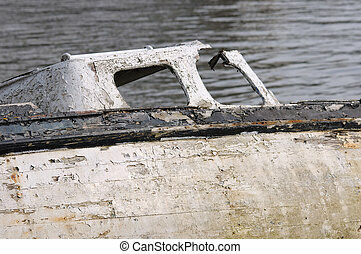 Old abandoned pleasure boat at rest and anchor on the river Tamar, Saltash, Cornwall UK. 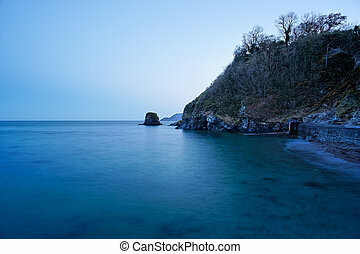 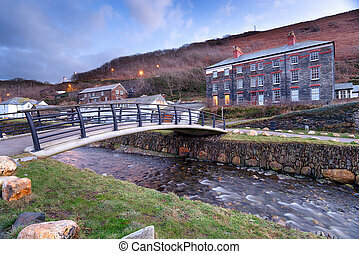 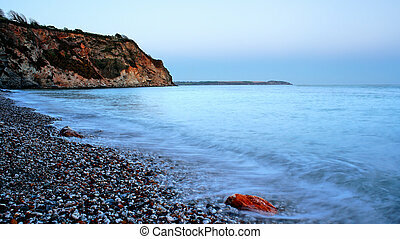 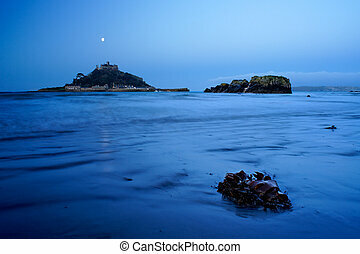 St. Austell beach at dusk in Cornwall, England. 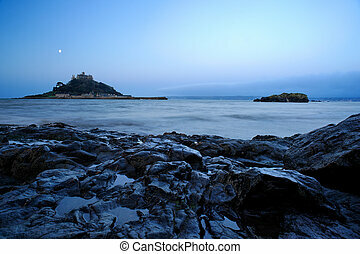 St. Michael\'s Mount at dusk in Cornwall, England.